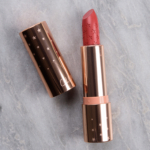 Colour Pop Tea Thyme Lux Lipstick ($7.00 for 0.12 oz.) is a muted, medium red-plum with warm undertones and a cream finish. 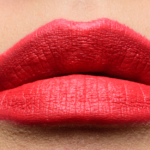 It had opaque color coverage that applied evenly and smoothly across my lips. The texture was lightweight, creamy without being heavy or slippery, and was comfortable to wear. 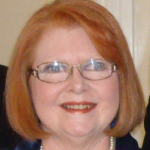 There was a bit of product in my deeper lip lines visible in the close-up photos but was not in person. It lasted for five hours and was lightly moisturizing over time. Shiseido Night Rose (203) (P, $26.00) is warmer (95% similar). 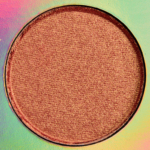 Milani I Am Radiant (P, $6.99) is warmer, less glossy (90% similar). 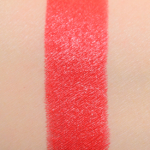 YSL Chili Tunique (80) (P, $38.00) is darker, warmer (90% similar). Colour Pop 21 Questions (P, $7.00) is lighter, warmer, less glossy (90% similar). 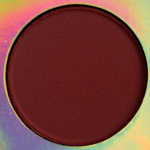 MAC Devoted to Chili (P, $19.00) is darker, warmer (90% similar). 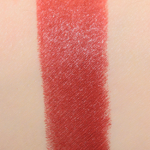 Bobbi Brown Ruby (P, $29.00) is darker (90% similar). Sephora Visionary (14) (P, $13.00) is lighter, warmer, glossier (85% similar). 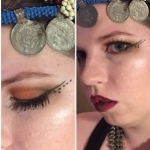 NYX Sierra (P, $6.00) is more shimmery, lighter, warmer (85% similar). 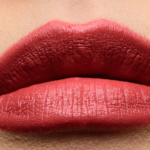 Colour Pop Mama (P, $6.50) is darker, less glossy (85% similar). 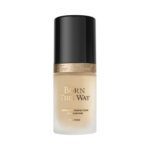 Charlotte Tilbury Walk of Shame (P, $34.00) is warmer (85% similar). 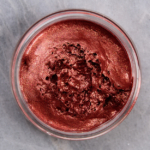 The formula that is supposed to be a "creamy-matte" that "glides on like butter, doesn't feather or bleed, and lasts so long you'll forget you're even wearing it." The majority of the shades were quite pigmented with full color payoff in a single stroke with a few in the more semi-opaque coverage range. 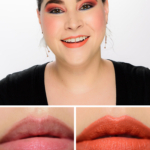 The texture was, on average, smooth, lightly creamy, and not too thick or too thin, so there was no tugging during application but the color didn't feel slippery while worn, which made them easier to apply straight from the tube and low-maintenance on the lips. 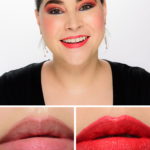 They tend to dry and wear down to a soft matte finish within one to three hours of wear, and while they are very lightweight on, they hug the lips more as they become more matte (compared to initial feel). The wear time has been between four and six hours for most shades, and most shades were non-drying to lightly hydrating. They were vanilla-scented but had no discernible taste. 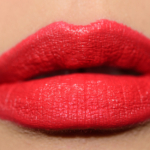 Browse all of our Colour Pop Lux Lipstick swatches. Octyldodecanol, Hydrogenated Polyisobutene, Polyethylene, Hydrated Silica, Flavor, Butyrospermum Parkii (Shea Butter), Tocopherol, Simmondsia Chinensis (Jojoba) Seed Oil, Hydrogenated Vegetable Oil, Elaeis Guineensis (Palm) Butter, Punica Granatum Seed Oil, Euterpe Oleracea Pulp Powder , Blue 1 Lake (CI 42090), Iron Oxides (CI 77491, CI 77492, CI 77499), Red 7 Lake (CI 15850), Titanium Dioxide (CI 77891). Colour Pop 7 Springs Lux Lipstick ($7.00 for 0.12 oz.) 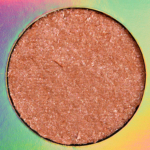 is a medium orange with stronger, warm yellow undertones and a satin finish. 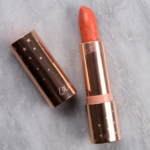 It had nearly opaque pigmentation in a single layer, which applied evenly but had a tendency to catch on any imperfections on my lips and sank into my lip lines more noticeably. 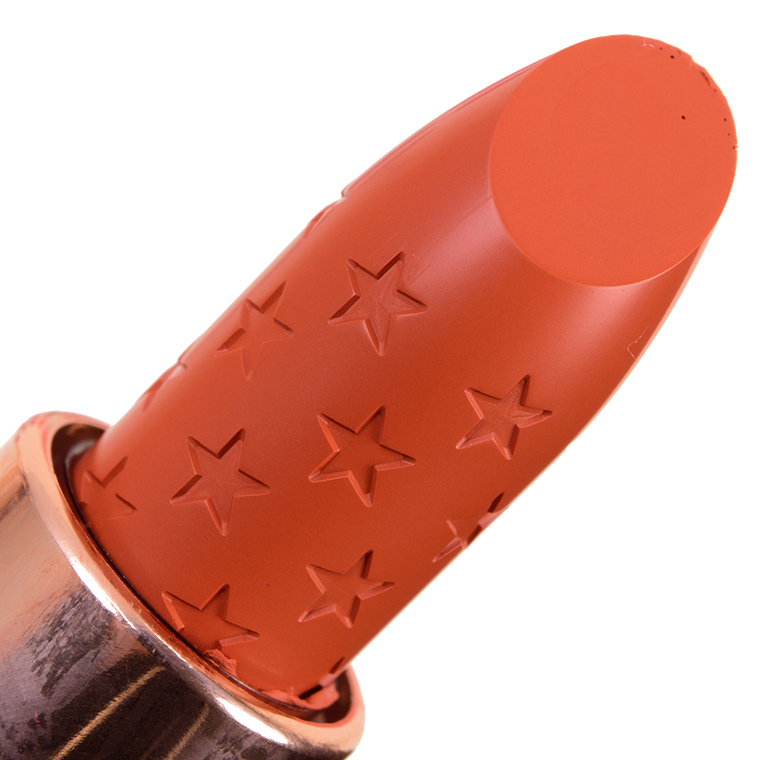 The texture was lightweight, creamy, and a smidgen denser/thicker compared to the average Lux Lipstick. It stayed on well for four and a half hours and was lightly hydrating. 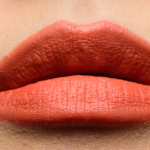 Bite Beauty Lit Turmeric (LE, $26.00) is cooler (85% similar). 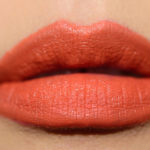 Obsessive Compulsive Cosmetics Kimber (DC, $18.00) is lighter, cooler (85% similar). 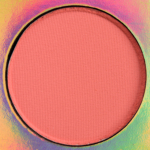 Colour Pop Felix (P, $6.50) is brighter (85% similar). 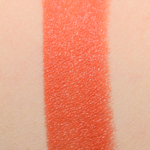 NARS Timanfaya (P, $25.00) is more shimmery, darker, warmer (85% similar). Colour Pop Oversized (LE, $5.50) is lighter, glossier (85% similar). 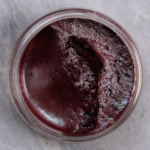 Makeup Geek Quirky (P, $15.00) is darker, cooler (85% similar). Colour Pop Oouuuu! (LE, $7.00) is lighter (85% similar). 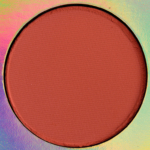 Colour Pop Pacific (LE, $6.50) is more muted, cooler (85% similar). Estee Lauder Out of Control (P, $32.00) is darker, cooler (85% similar). Make Up For Ever C304 (P, $22.00) is darker, warmer, glossier (85% similar). Octyldodecanol, Hydrogenated Polyisobutene, Polyethylene, Hydrated Silica, Alumina, Flavor, Butyrospermum Parkii (Shea Butter), Tocopherol, Simmondsia Chinensis (Jojoba) Seed Oil, Hydrogenated Vegetable Oil, Elaeis Guineensis (Palm) Butter, Punica Granatum Seed Oil, Euterpe Oleracea Pulp Powder , Iron Oxides (CI 77492, CI 77499), Red 7 Lake (CI 15850), Titanium Dioxide (CI 77891), Yellow 6 Lake (CI 15985). 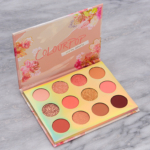 Colour Pop Flower SZN Lux Lipstick ($7.00 for 0.12 oz.) 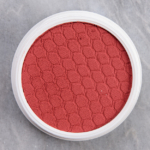 is a rich, red-coral with subtle, warm undertones and a satin finish. The consistency was lightly creamy, dense and slightly thicker than I felt was typical of the Lux Lipstick formula. 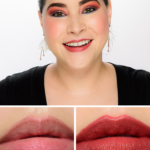 It had rich color payoff that adhered evenly to my lips, but there was product that clung to very minor lip texture and sank into a few of my deeper lip lines. It wore well for five hours and was lightly moisturizing. 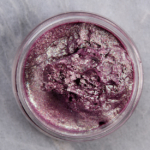 Urban Decay Tilt (P, $18.00) is lighter (95% similar). 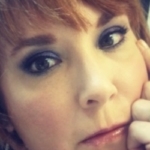 Urban Decay Frequency (P, $22.00) is cooler, less glossy (95% similar). Colour Pop Fortune Favors (P, $6.50) is cooler (90% similar). 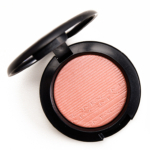 MAC Mangrove (P, $18.50) is lighter (90% similar). Tom Ford Beauty Tantalize (Right) (LE, ) is lighter, brighter, warmer (90% similar). 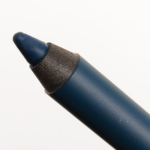 Urban Decay Tilt (DC, $22.00) is lighter (90% similar). 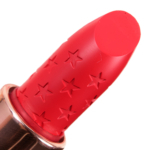 Estee Lauder Pretty Lucky (P, $32.00) is more shimmery, darker, cooler (90% similar). Tom Ford Beauty True Coral (P, $54.00) is glossier (90% similar). 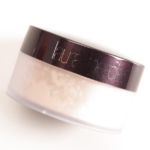 Urban Decay EZ (P, $18.00) is lighter, glossier (90% similar). 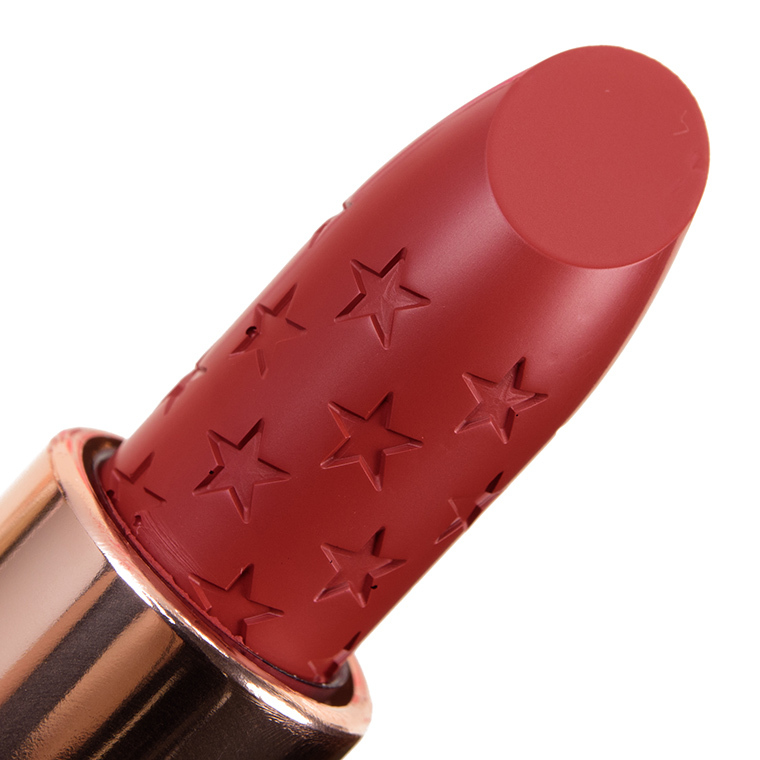 Dior Ultra Star (777) (P, $37.00) is darker (90% similar). Octyldodecanol, Hydrogenated Polyisobutene, Polyethylene, Hydrated Silica, Alumina, Flavor, Butyrospermum Parkii (Shea Butter), Tocopherol, Simmondsia Chinensis (Jojoba) Seed Oil, Hydrogenated Vegetable Oil, Elaeis Guineensis (Palm) Butter, Punica Granatum Seed Oil, Euterpe Oleracea Pulp Powder , Red 6 (CI 15850), Red 7 Lake (CI 15850), Titanium Dioxide (CI 77891). Colour Pop Lux Lipstick $7.00/0.12 OZ. I like the look of Tea Thyme (and not just because I like tea). Somehow I don’t think I have any plummy reds, which is ridiculous when you consider how many lipsticks I have. I think my daughter in law would love Tea Thyme – that is definitely her shade preference. 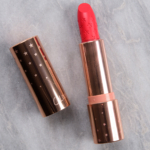 Beautiful lipsticks – I think the Lux range is fantastic. Flower SZN is a potent one! And I love it for that reason. Probably why I already have some similar shades in UD Tilt and MAC La Vie En Rouge. Both tubes will be getting some love now that they’re about to hit rotation! I also love Tea Thyme. But for autumn and winter moreso than spring. Wow, Flower SZN is amazing. Pretty colours! Tea Thyme is right up my street… And I love the lux formula. Flower SZN is so bright and beautiful!